Home / All TV Shows / Pwy Geith y Gig? When will be Pwy Geith y Gig? next episode air date? Is Pwy Geith y Gig? renewed or cancelled? Where to countdown Pwy Geith y Gig? air dates? Is Pwy Geith y Gig? worth watching? Music competition to form a unique new band for youngsters. The alternative band 'Rogue Jones' will be returning to Ysgol Maes y Gwendraeth, where the members will be chatting to Lara and performing in a special gig for the school's current pupils. The panel will be discussing the auditions of their song 'Halen'. It's the last time the panel will hear the auditions before deciding who'll get the gig. 'Fleur de Lys' will be returning to their old secondary school, Ysgol Gyfun Llangefni. How will the pupils react to the popular band? The big day has finally arrived! 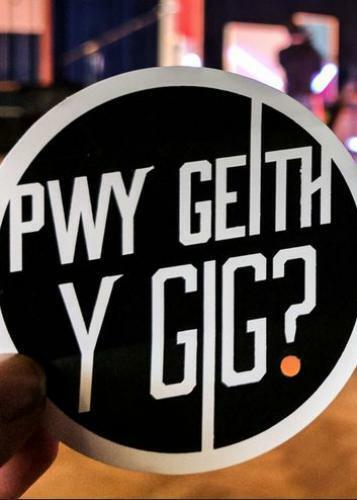 The 'Pwy Geith y Gig' panel will be choosing the members of the new band! We'll see them practising for the first time and being mentored by singer-songwriter Casi Wyn, Candelas frontman Osian Williams and Yws Gwynedd. The highlight of the series and a big day for the new band. The 'Pwy Geith y Gig' band perform live for the first time in front of an audience at the 2017 Urdd National Eisteddfod in Bridgend. Pwy Geith y Gig? next episode air date provides TVMaze for you. EpisoDate.com is your TV show guide to Countdown Pwy Geith y Gig? Episode Air Dates and to stay in touch with Pwy Geith y Gig? next episode Air Date and your others favorite TV Shows. Add the shows you like to a "Watchlist" and let the site take it from there.